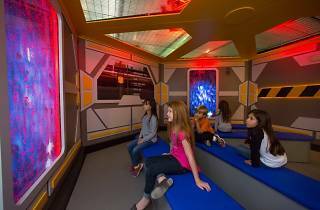 Discovery Cube Los Angeles features both permanent and traveling exhibitions, from a simulated helicopter tour of California's natural resources to a grocery store scavenger hunt. 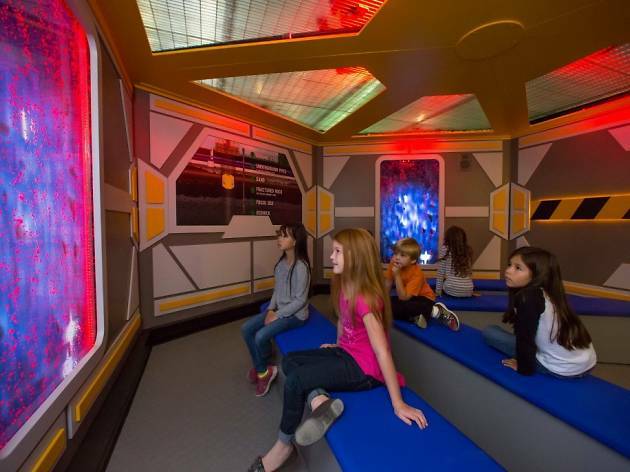 Kids will not only have fun, but also learn through the museum's various exhibits. Inside the Planatary Research Station, kids can view an animated globe of earth to learn about weather patterns and earthquakes. They can learn about hockey, take an Inspector Training Course and take a virtual trek through the Hansen Dam Recreation Area, withstanding 70 mph Santa Ana winds, or climbing a rock wall. There's so much fun to be had here, kids won't want to go home!